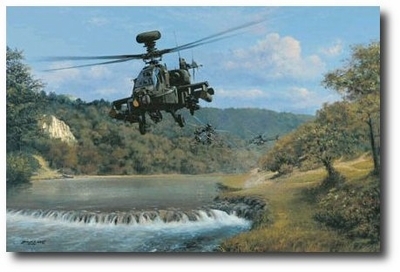 The Apache is the world�s premier attack helicopter. Its early history was crowned during �Operation Desert Storm� setting a combat record second to none, dispelling any doubts about the Apache�s supremacy. The �Longbow� offers even greater mission capability and provides a significant contribution to any battlefield arena, anywhere in the world. 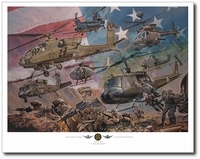 All are signed by the artist and 11 Apache Longbow pilots.